When it comes to designing bracelets and choosing which beads to use, understanding the ‘colour wheel’ can prove very useful. The colour wheel is based on three primary colours – red, yellow and blue. These primary colours can then be mixed to make the secondary colours – orange, green and violet. Mixing adjacent primary and secondary colours results in the tertiary colours – red orange, yellow orange, yellow green, blue green, blue violet and red violet. Colour saturation levels indicate how light or dark a colour is, Corresponding saturation levels generally work well. Colours can be either ‘warm’ or ‘cool’. Warm colours tend to be stimulating, they create a a sense of warmth and energy. Cool colours tend to have a more a calming effect, they tend to be more serene and create a sense of peace and relaxation. Colour harmony is achieved using basic techniques for combining colours, to produce something that is aesthetically pleasing. The main techniques are explained below. 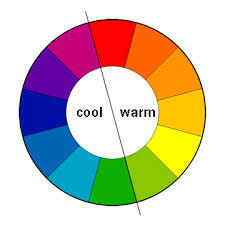 Complementary colour schemes: use colours that are opposite each other on the colour wheel (e.g. red and green). Analogous colour schemes: use colours that are next to each other on the colour wheel. One colour will tend to dominate, one will support and one as an accent. These colour schemes are often seen in nature. Triadic colour schemes: use three colours that are evenly spaced around the wheel. One colour should dominate with the other two as accents. These tend to be quite vibrant colour schemes. Split-complementary colour schemes: use one base colour and the two colours adjacent to its complement (opposite). Square color schemes: use four colors which are spaced evenly around the wheel. Rectangle (tetradic) color schemes: use four colours arranged into two complementary pairs. Armed with this knowledge, it is easy to get more daring with bracelet design and colour combinations and to avoid colour clashes. Have a go at using the wheel next time you put together a bracelet. I would love to hear if it works for you and to see any pictures!